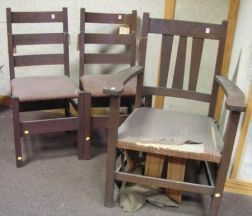 Pair of Gustav Stickley Oak Slat-back Side Chairs and an Arts & Crafts Oak Armchair. 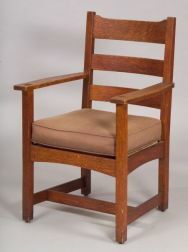 Stickley & Brandt Oak Armchair. Stickley Bros. Armchair with Paper Label.